This is a bit of an impromptu post. During yesterday’s editing session I finally figured out what picture I was going to use for my Chapter 3 cover. As with Northern Lights, I intend to use a picture for each chapter in The Broken Rose. While this can be a daunting task, I still find it a worthwhile visual puzzle for me to solve. Locating a picture that encompasses the mien of each chapter can be challenging, but I enjoy figuring it out. I have an easier deal in TBR as NL also had at least one quote for each chapter, but I decided to forgo such words for my latest fanfiction, though I couldn’t let the work not have two at the beginning. While each chapter title will obviously be indicated in the post, I still decided to incorporate them into the picture itself, an update I’m planning for Northern Lights, too (possibly as soon as my vacation the first two weeks in September). I made each of these with Pixlr, an invaluable site for macro making and image manipulation. I’m very thankful to the Deviant Artist for giving me permission to use this. I may also utilize the image for the overall story and/or the banner I’ll have to created, but I absolutely love it for the opening chapter. I’m not as fond of how the words look on this one, but I love the picture. None of these are set in stone, so if something better comes along, I may do a change up. This was the picture that prompted me to make chapter macros. It is exactly what I was looking for when I realized I wanted to find a measuring tape. Sometimes it just takes a simple image to get the ball rolling. I’m hoping I can meet the challenge for the remaining 20 or so chapters, though I’m unsure if I’m going to do another post like this since some of the titles/images might be spoilerific. I really liked these initial pictures and wanted to share since I was quite happy that I finally figured Chapter 3 out, and I really liked how that and Chapter 1’s macro turned out. Let me know what you think and I hope you all have a good day! I really like the idea of a picture per chapter. The right image can really help you set the tone. If you did want to post any more images in future, how about removing the text? The pictures would be more teaser than spoiler! I got the idea when I was writing/editing my previous fanfiction Northern Lights! I love figuring out what image would best suit the chapter. I didn’t go with a quote a chapter for this story like I did with NL (I got that idea from my original paranormal romance), because well I was being lazy lol. I did pick two for the story as a whole though. Don’t worry! It is taking me far, far longer than I anticipated to edit this monstrous story hehe. I thought I’d be finished by Christmas, but that would require me editing a chapter a week. Er, that happened with the first chapter that was only five pages, but took four edits! These longer ones are taking me around a month to get through (I think Chapter 2 took 33 days. I’m keeping track!) I am going to start posting chapters once I get through 5, BUT I need to write a chapter in between 3 and 4 once I finish my (second) edit of the former. After the first five are posted, I’ll then start just posting them as I finished. I should do a post on my ridiculous editing process at some point…or make that my Question of the Week hm. That’s very nice of you to ask. I know there are probably lots of people out there who “borrow” art without seeking permission. Since I post on Deviant Art, and I find a lot of the art there, I make sure the artist is okay with it. If I can’t find the source or name of the artist, I say so and/or try to give some website. And with my macros I definitely do so since the picture is never mine (no visual art skills) and sometimes neither is the quote. I was really happy that the one artist who did the latest pic I used was super flattered I chose her photo manipulations, which she herself got from another artist so art begets art! I also follow blogs that give editing tips. There’s no one right way to do it! I pretty much just write everything like the voice in my head says it. I know it’s probably not correct grammar most of the time, but oh well lol I would find it interesting to see how others tackle this editing thing. I find astrology interesting, but I haven’t spent much time researching it. I’m a Capricorn which means I’m stubborn and determined. I also read an interesting article that combines the Chinese Zodiac. I was born in the Year of the Dragon, so I’m a Dragon Capricorn. I was a bit sacred by how accurately the article explained my personality! I can definitely see Lightning being a Capricorn! I was talking about Final Fantasy astrology with one of my friends. Even though I know Aeris is supposed to be an Aquarius (per her stated birthday), I write her as a Taurus, which is what I am, but I’m a bit of a weird Taurus. I’m stubborn, but I also have a lot of doubts. Another friend of mine is really into the astrology thing, and she introduced me to the full chart so now I know I have a Libra moon, which could potentially explain my inner wibbly-wobbliness. I know that certain things are right, but I have to consider all points of view and that often messes with my head, and I have to resolve it. Psh correcting grammar is what final editing is for lol. Also grammar itself is kind of a myth hehe. Well, okay I used to be a prim and proper prescriptive grammarian, which means I believed there was a “correct” grammar (there isn’t. There’s just what people have decided is correct), but now I’m more of a descriptive grammarian, which is more flexible and is essentially about comprehension and understand what’s said/meant. I mean, I still usually speak with what’s considered proper grammar, but just because someone doesn’t it doesn’t mean they’re less intelligent. That’s awful that people think that. Also with writing, not every character speaks “properly.” There’s variation, and if all writers wrote in the same way that would be pretty boring! I can’t believe how much I identify with Lightning. I never thought a video game character I could relate to so much would ever be created lol. I really have to research astrology more. I find it fascinating. It’s awesome when you find a character you can relate it. It’s why representation is so important, and it’s why we both can definitely relate to when people vilify (well in my case my character is generally seen as a villain) and ridicule aspects of them. It’s like in a way they’re doing the same thing to you. Feelings about fictional characters are totally legit, and I usually think about something Captain Janeway said in Voyager to remind myself of that. They created this holodeck program that was this seaside community with all sorts of characters, and in one episode something happened that jeopardized it, and she made a statement about how even though the characters weren’t real, their feelings about them are. Some people don’t understand that concept. Omg I had no idea that happened! I’ve actually never watched that show all the way through; I’ve just seen episodes here and there when my husband will throw it on. I enjoyed it, but I’ll always love TNG the best. I think the actress who plays Janeway is phenomenal though. She’s great in OITNB, too. Kate Mulgrew also does voice acting. I was playing Dragon Age 2 and I thought this dragon lady I met sounded a lot like Capt. Janeway… Turns out she actually was. Deep Space Nine is my favourite, but I’m not really a dire hard fan of Star Trek. I just enjoyed watching TNG, DS9, and Voyager when I was growing up. Nah you’re fine! I don’t really count spoilers for things that are 10 years old unless I’m actively watching them, and if I am I avoid topics about it. No worries! Oh wow she does? Her voice is very distinctive, and she does a good Russian accent (to my American ears) in OITNB. I love how Patrick Stewart does voice acting for American Dad. The things that show has him say are completely bonkers. I like DS9 more as an adult. I think when I was younger, I was more bored by it because it’s (literary) stationary, but TNG they went off exploring. Now that I’m more mature I appreciate the in depth characterizations. I liked DS9 the best since they weren’t so “goody goody” upstanding Starfleet people. They weren’t afraid to bend the rules to help people and such. Also, I loved the Worf/Dax relationship, Quark the greedy Ferengi, and Odo the Shapeshifter guy. I really want to watch the show Blunt Talk with him, because that must be amazing. I think Odo is my favorite character because he reminds me of Data who’s a very close second with Picard in my favorites. I love the Picard/Data dynamic on the show; it’s very father/son like. I’m noticing that all of the shows do present certain archetypal characters because Data was supposed to be similar to Spock, but they gave Riker more of the Kirk like attributes. I love stuff like that. Final Fantasy has some definite archetype threads running through it. DS9 did bend the rules a lot more and I can see what you’re talking about with it being more realistic and less idealistic. I don’t typically like overly goody-goody characters. 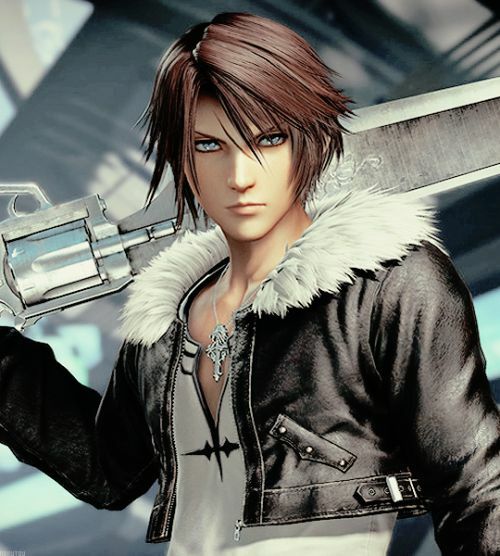 I mean…my favorite of all time IS Sephiroth lol, and this might get me claimed a blasphemer, but I’m not a huge fan of Zack. I don’t hate him per se, but he’s too goody two shoes to the point of being naive, and that’s what’s irks me. I don’t like characters who remain naive even after they have the experience not to. This could also just be me missing something or having a bias hehe. What’s funny is Captain America is very goody two shoes similar to Zack and also a super soldier, but he doesn’t me half so much. I think this goes back to the naive thing, too. Picard is a genuinely good person, but he’s not naive, and that’s what makes the difference. He believes in the greater good and in the inherent goodness of beings, but he knows who’s trustworthy and who isn’t and he uses his experience and insights to make good judgements. I really like the Rose in Blood picture for the first chapter. It’s so atmospheric. Sounds like a great idea you’ve got going. Good luck. Can’t wait to see how it turns out! Thank you! I take as much time with my fanfictions as I do original stories. This particular project is actually the longest thing I’ve EVER written at 250k words. it was only planned for 10k and intended to be a “test story” of sorts for an original I’m planning on writing that will more than likely not be even half as long!